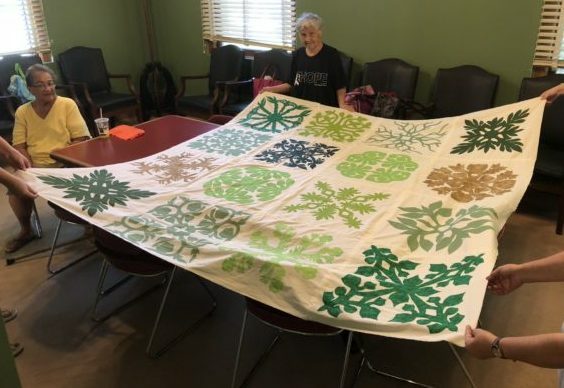 You can tell one story or many stories - Hawaiian Quilting With Poakalani & Co.
…on a quilt. Don’t let the large patterns scare you off you also have a choice of making smaller squares which eventually can be joined to make a larger quilt. This quilt designed by John tells of the many medicinal plants used by the Hawaiians for their ailments. They too had their doctors of medicine. 16 squares, 16 stories on 1 quilt. How amazing is that. Appliqued by retired nurse Doris Shibuya. I can’t wait to see the finished quilt.